My name is Savannah Lloyd. I am 20 years old and from a small village in South Wales. I am currently a third year student at Oxford Brookes university. I’m hoping to graduate as a special needs teacher after my PGCE. I have set up this blog to share my personal experiences with mental health and other conditions, to educate others on all types of mental health problems, to be a mental health advocate and campaigner as well as a youtuber, blogger and author (book available here). I was born on May the 31st 1997, one of the hottest days of the year. I grew up in a loving family with lots of pets and loved exploring outdoors. I loved building tree houses, clambering through the woods and streams as well as paying a close attention to the environment around me and the animals that inhabited it. Unfortunately, when I was 8 years old, I become very aware of the situations and people around me. I become very shy and reserved, never spoke up in class and had few friends. I got on with everyone around me but found it difficult in social interactions. I began to get bullied for being different in my final year of primary school and this continued through comprehensive school. At 12 years, I made my first suicide attempt after weeks of physical and emotional bullying. I kept these suicidal feelings to myself and didn’t open up about it for years. I began self harming, developed depression and anxiety (unknown to me at the time) and completely went down hill in school. I began getting distracted in lessons and school didn’t feel like a safe place to be. At 13 years old, I started counselling for self-harming but found that the sessions did no help. During my time at comprehensive school I suffered with several undiagnosed mental health issues and eventually took a turn for the worse at 15 years old (August 2013). I was fed up of getting bullied, struggled to accept myself, had a very low self-esteem and lack of confidence and could barely look at myself in the mirror. I self-harmed on a weekly basis and often had suicidal thoughts. 10 months later in June 2014, I was diagnosed with an eating disorder. I had lost over 25.4 kg (4 stone) in a 10 month period, had black outs and dizzy spells, bruised easy, had pale skin and could barely stand. I hated eating and barely drank. In November 2014, I was also diagnosed with Social Anxiety Disorder and Endogenous Depression. On March 22nd 2017, at 19 years old, I was diagnosed with Attention Deficit Disorder, Dyspraxia, Dyscalculia. I was also referred for diagnosis of Autism Spectrum Disorder. My autism assessment took place on June the 13th 2017, with a diagnosis of autism spectrum disorder being finalised in October 2017. 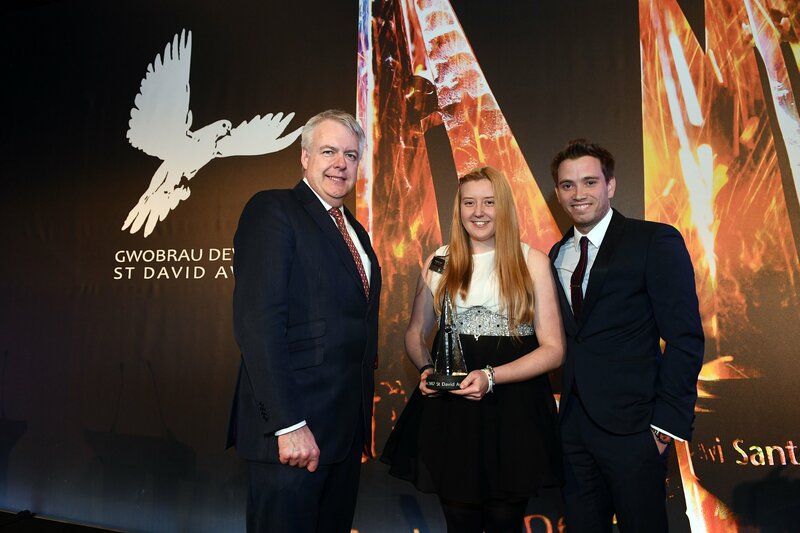 On the 23rd of March 2017, I was awarded a St David Award by the Welsh Government in the Young Person Category for my work with mental health and special needs. Since my diagnoses, I have come so far but yet so little… I have recovered, I have relapsed, I have struggled, I have lived. Mental Illness is not easy. Recovery is so hard, and relapse is always so tempting. However, my mental health problems have given me a great deal of knowledge, a great deal of empathy and passion to fix stigma associated to mental health. Therefore, I am a mental health campaigner, blogger and author and continue every day to end stigma associated to mental health. Through this blog, I hope to share both my positive and negative experiences in order to highlight the realism of mental health problems and the impact it has on people’s life. thank you for the lovely message and for checking out my blog. Hope you’re well. Savannah thankyou for this blog post and I feel somewhat not alone anymore with people like you in the world makes my day so much brighter and that others are like me. Hi, Savannah!! I really love this story behind autism and related disorders.